babyTEL, the pioneer of Social VoIP recently released the next generation of its Telephone Facebook application, filling a void in voice-driven social networking communication. Telephone gives Facebook’s 300 million users the ability to speak live with or send voice messages to friends directly from their Facebook page. Voice is the oldest way to communicate. In this technology age we tend to forget that it preceded email, IM, and blogs and yet with all the amazing tools on social networks – where is voice?” asks Stephen Dorsey, babyTEL’s CEO. 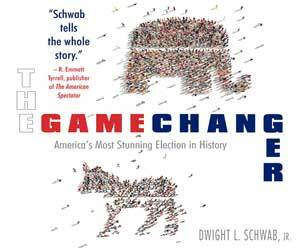 “Voice adds a warmer communication option conveying meaning beyond mere words. With Telephone we are Putting your Voice on Facebook,” Dorsey adds. The soul of the application is the eggphone, a Web-based Java softphone that can be called up from cyber-space to any Windows, Apple or Linux computer. All friends are automatically loaded in the directory and placed in groups that the user sets up, ready to be called, voice messaged or with a simple click, without ever leaving the Facebook environment, making it a simple contact management and history tracking tool. And eggphone is fun,says Dorsey. 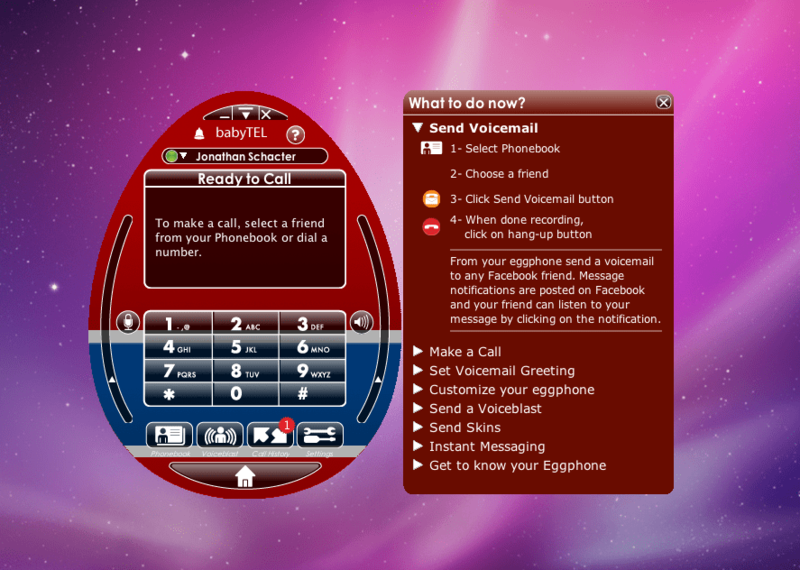 Telephone users can express themselves.The eggphone’s Skin can be changed to reflect the user’s personality, latest obsession or mood with Emoti-skins. Better still, skins can be sent between talking parties to express reactions to a conversation as it progresses. Send VM, a medium available with Telephone, is to voice what email is to text. With Send VM a voice message is recorded and immediately sent to a recipient with copies to up to 40 others. It’s a true voice blast. Recipients receive a Facebook notification, and are able to listen to the message whether they have the app or not. It’s right there ready to be heard. For ‘All-in-One’ communication freaks, aside from calling and voice messaging, Telephone provides IM that also connects the user to Yahoo, MSN, AIM and Google Talk. Users who wish to extend the functionality of the eggphone, allowing them to make and receive calls to or from the public network or to forward their calls to their cell phone, can choose to subscribe to Telephoneplus for $4.95 per month. Finally, babyTEL’s Voice API Platform, which is currently available in private beta, allows developers of Web-based applications to voice enable their application with Telephone. * Socialize: Call your Facebook friends with the eggphone; send voice messages to any of your friends, no need for them to download the app to listen; blast up to 40 friends with a group voice message using Voiceblast. * Organize: Find and store all your contacts quickly and easily with the Phonebook; organize friends into groups; track calls and listen to voice messages using Call History. * Personalize: Change your eggphone’s Skin to reflect your personality or mood with Emoti-skins; customize your eggphone to suit your needs with Settings; share your mood while you talk to your friends by Sending Skins. # Earn credits: by using the app that you can use to buy skins. # Telephoneplus: a real telephone service with local phone number for calling outside of Facebook, call forwarding for when you’re away from your computer, and 100 minutes for calls anywhere in the US & Canada for only $4.95/month. babyTEL Inc. is redefining telephony with services that offer a fully featured telephone service for home users, enterprise and the social networking generation. Customers, ranging from social network users to Fortune 100 businesses, benefit from reliable high-quality babyTEL Services. Home and enterprise services are available through a large network of channel partners or directly from babyTEL’s Web site www.babyTEL.net. babyTEL’s Telephone application can be currently added on Facebook. Anne Howard is a writer and publicist, who writes about the entertainment and high tech industries.